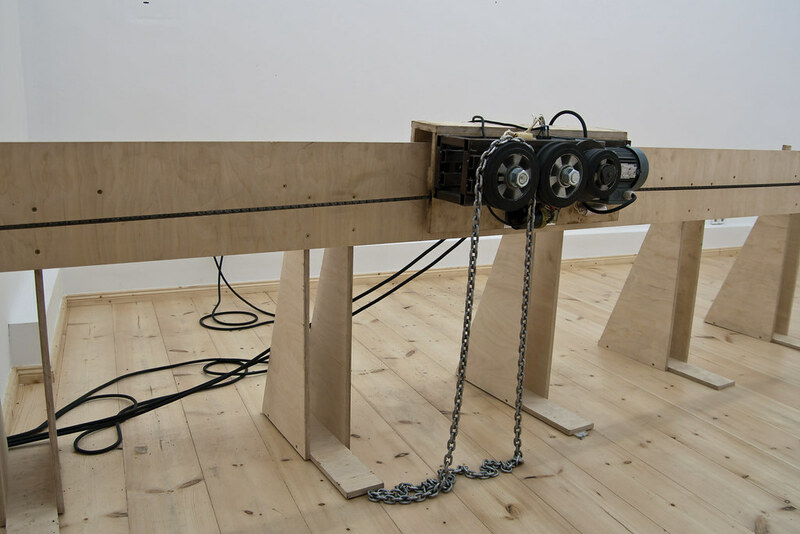 Materials: Metal, Electrical Motor, Cable, Wood, Chain. 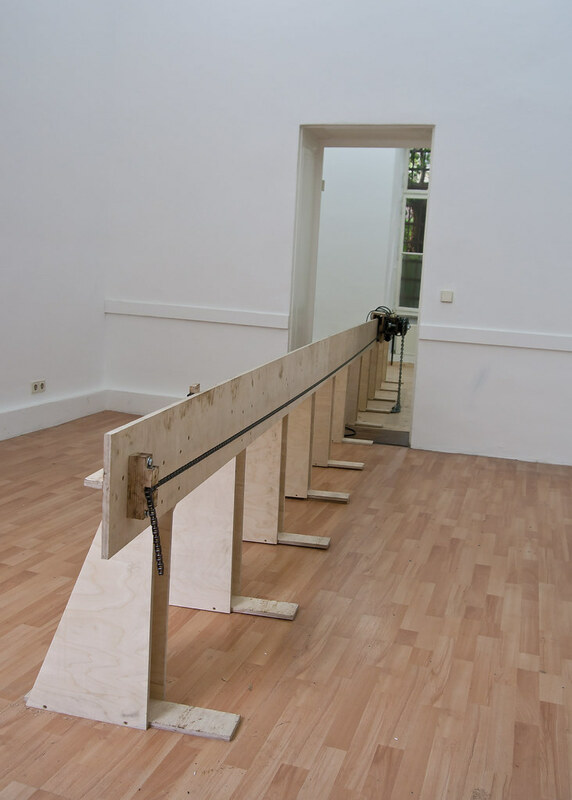 On a wooden structure, a machine is slowly conveying back and forth. 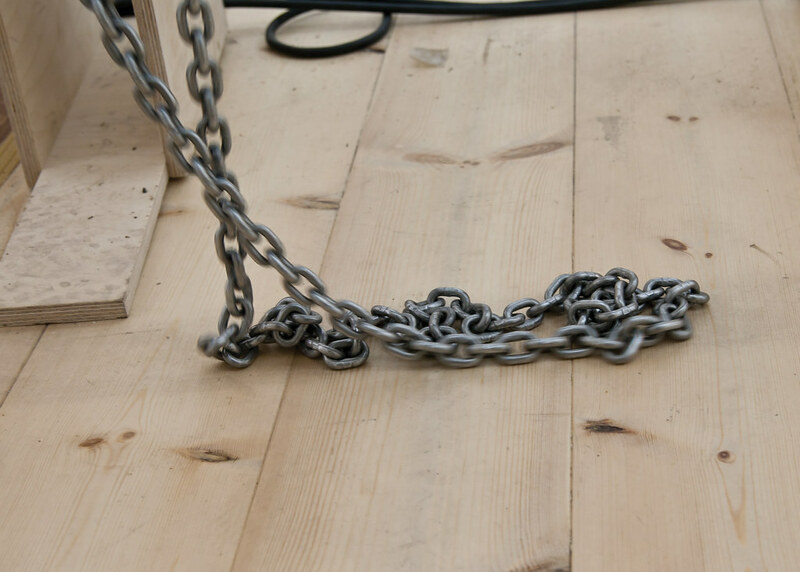 The machine is extruding a looped metal chain that, when being layed down, produces a sound depending on the flooring at a specific point. As the structure and surface of the flooring changes, so does the sound produced.